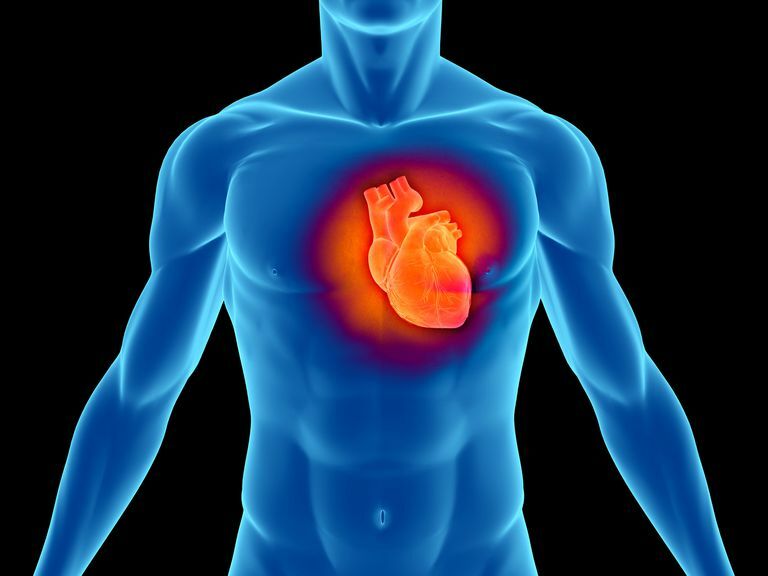 The heart is an amazing muscle that beats around 100,000 times a day. It is essentially a complex pump that is able to adjust blood pressure, flow, and volume in order to provide your body with all the blood it needs. Your heart is constantly adjusting to what you are doing and the state of your body. As you age, your heart adjusts to the needs of an older body. These adjustments come with trade-offs, leaving the heart more vulnerable to disease and other problems. Every day your heart must beat more than 100,000 times to pump 1,800 gallons of blood through more than 60,000 miles (if stretched end-to-end) of blood vessels. Your heart also must adjust the rate and force at which it pumps based on your activity level. As we age, changes in the body require that the heart adjusts how it works. For example, the buildup of fat in the arteries, known as atherosclerosis, causes the heart to work harder to pump all that blood through narrower tubes. 40 percent of deaths for people aged 65 to 74 are from heart disease (60 percent for those over 80). From age 20 to 80, there is a 50 percent decline in the body's capacity for vigorous exercise. In your 20s, the maximum heart rate is between 180 and 200 beats per minute. At 80, it is 145. A 20-year-old's heart can output 3.5 to 4 times the heart's resting capacity. An 80-year-old can output 2 times resting capacity. Researchers have noted that the wall of the left ventricle of the heart becomes thicker with age. This thickening allows the heart to pump stronger. As our blood vessels age, they become narrower, causing blood pressure to increase. The heart compensates for this by becoming stronger and pumping with more force. The mitral valve closes more slowly with aging. This is because the rate of blood flow from the left ventricle decreases as it relaxes more slowly. It relaxes more slowly because it grows thicker with age (see above). As the heart ages, it becomes less able to respond rapidly to chemical messages from the brain. Researchers do not know exactly why the heart does not respond as fast to messages to speed up and adjust to increased activity. The result is the body cannot exercise as long or as intensely as before. This shows up as shortness of breath, a sign that oxygen-rich blood is not moving fast enough through the body because the lungs are trying to breathe in more oxygen. Because of the increase in diastolic blood pressure, the heart also stretches larger each beat, giving a stronger pump in order to have a stronger contraction to pump the excess blood volume (called the Frank-Starling mechanism). But because of the greater diastolic pressure, the heart can't squeeze as tightly. The heart of a healthy 70-year-old has 30 percent fewer cells than a 20-year-old's heart. When heart cells die, the other cells must stretch and grow to stay connected. An older person's heart cells may be up to 40 percent larger than a younger person's. National Institute on Aging: Aging Hearts and Arteries.